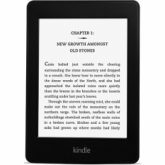 Following in the tradition of the success of the Kindle series, Amazon made no stops this past week when it updated the Kindle range. The online retail giant introduced new Kindle Fire and Kindle Reader models with improved features and integrated services. The most notable models included the Kindle Paperwhite and the Kindle Fire HD. Building on the success of the Kindle reader, the new Kindle Paperwhite replaces the Kindle Touch and adds more than 62 percent more pixels than the previous generation. It also has a back light that uses fiber-optic lighting, a technology that has been in the works for over 4 years according to Amazon founder and CEO, Jeff Bezos. The new lighting technology means that users can now use a backlight and still receive up to 8 weeks of battery life. The Kindle Paperwhite also has full touch support and comes with a new feature called Time to Read. Time to Read provides an estimate of how much time it will take a reader to finish a chapter based on their page turning speed. The new Kindle Paperwhite is available as a Wi-Fi only model and a 3G model. The Wi-Fi only models costs $119 and the 3G model costs $179. Available for Pre-order from Amazon’s website now, the Kindle Paperwhite will ship on October 1.